Aqualand Australia has purchased a mixed-use development site of 4.5 hectares located in Sydney’s North West for $135 million. 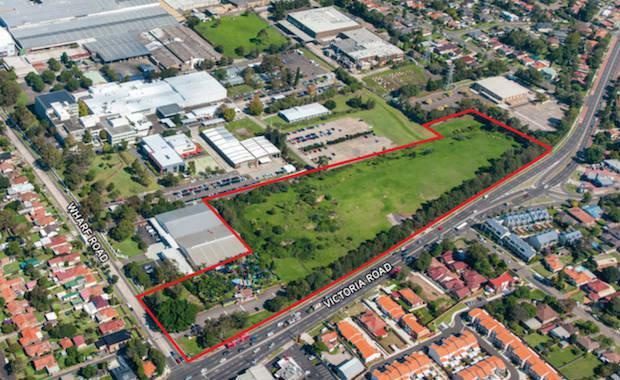 The sale marked the most significant sale of a development site in Sydney’s West this year. The site could potentially yield up to approximately 96,000 square metres in residential development plus 1,772 square metres of retail bulky goods with associated car park and common roads. “This sale of this asset was hotly contested by 11 parties, both local and offshore developers,” said agent Harry Bui of Colliers International. , said the sale would provide much-needed new high-quality apartment housing to cater for the City’s growing population. “This is a great win for our community. The site is a key eastern gateway to Parramatta and close to excellent public transport links and the Parramatta riverfront with Sydney-wide views,” he said. , said Council had taken advantage of the current strong market for apartment development sites in Sydney’s west. “Demand for residential development sites across Sydney continues to be extremely strong,” said Guillaume Volz, National Director of Development Sites at Colliers International. We had a record year in 2013 with more than $2.4 billion worth of assets changing hands, and dependent on stock availability, 2014 is looking equally promising. We’re currently approaching $2 billion worth of sales in the development site sector in the year to date, so we’re likely to eclipse the volume of sales in 2013. This is on the back of strong demand for quality apartments in throughout Sydney. In 2013, research from Colliers International indicated that of the $2.4 billion worth of development sites that transacted, 53 per cent of these purchasers were from Asia. Melrose Park is a suburb of Sydney, New South Wales, Australia 17 kilometres north-west of the Sydney central business district and approximately 2 kilometres west of the main shopping centre hub of West Ryde. Melrose Park is one of the fastest developing suburbs of residential developments of the Northern Suburbs area.